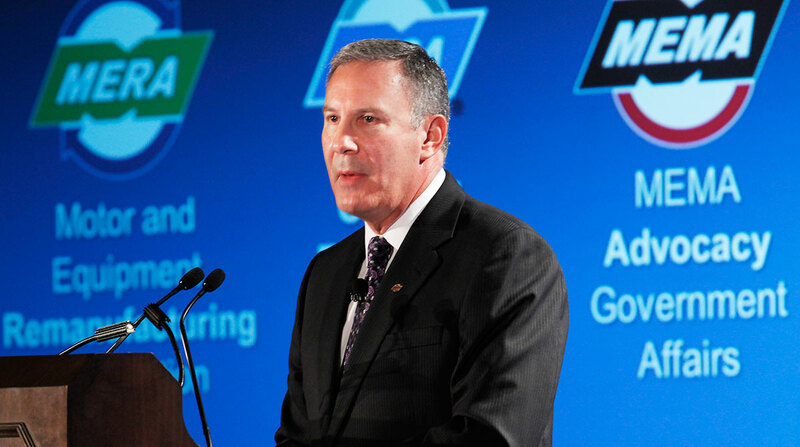 The Motor & Equipment Manufacturers Association announced president and CEO Steve Handschuh has decided to retire effective Dec. 31, as a result of recent concerns with his health. A search for a replacement will begin immediately, according to the Research Triangle Park, N.C.-based group. Handschuh was appointed president and CEO of MEMA in October 2013 and has had a 40-year career in the automotive aftermarket industry. “Steve has led the association through many challenging years, coming out of the economic crisis and into the major tax overhaul, the technology evolutions, and global trade battles,” Daniel Sceli, chairman of the MEMA board of directors and CEO of Peterson American Corp., said in a statement. MEMA’s roots stretch back over 110 years, and it is the recognized voice for the motor equipment supplier industry. “This is an incredible trade association, which will continue to lead the industry in responding to the many industry changes underway,” Handschuh said. MEMA includes four specialized divisions: the Automotive Aftermarket Suppliers Association, Heavy Duty Manufacturers Association, Motor & Equipment Remanufacturers Association and Original Equipment Suppliers Association.